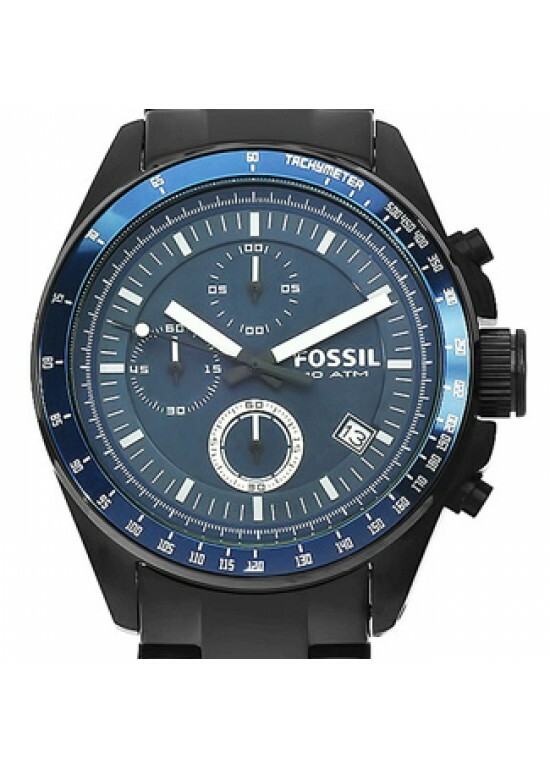 Fossil chic and elegant Fossil Decker Black Ion-plated Stainless Steel Mens Watch - CH2692 is a fashion “wow” statement. This elegant and beautiful watch is easily dressed up or worn casually. This beautiful Round Black Ion-plated Stainless Steel case has a 44 mm case diameter and 13 mm case thickness. The bezel material is Stainless Steel. This timepiece also has Quartz movement. This Analog Blue dial features. A Mineral crystal protects this beautiful Fossil timepiece. The bracelet of this Fossil Deckeris made of Black Ion-plated Stainless Steel with 22 mm band width. The watch clasp type is Deployment.